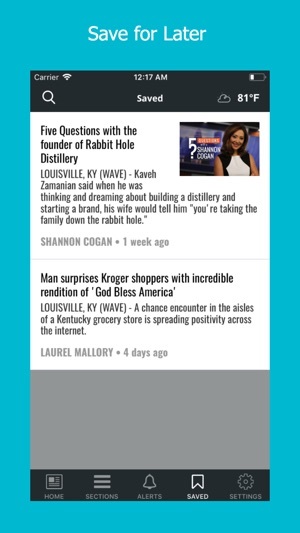 Download the power of the WAVE 3 News application right to your iPhone! Also serving New Albany, Jeffersonville, Clarksville, Corydon, Sellersburg and Madison, Indiana along with Elizabethtown, Shepardsville, Taylorsville, Shelbyville and Carrolton, Kentucky. 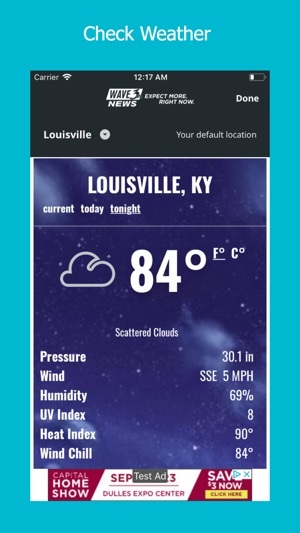 We update the WAVE app regularly so we can make it better for you. Thanks for trusting WAVE as your key source for news, weather, sports, and more. Absolutely love Wave 3 news! Love the whole entire team! I love how personal they are! They are a team that really cares about their news stories and the individuals that the news stories are about! I love each one of them across the board and to me, Wave 3’s passion shows in the awesome job that they do, in their coverage of the news! GO Wave 3 and thank you for always allowing your heart to be touched, whether reporting good or bad news! You are in my book, the best! Update made it even worse. Clicking on articles many times gives 404 error page not found. Surely you can afford competent app programmers. 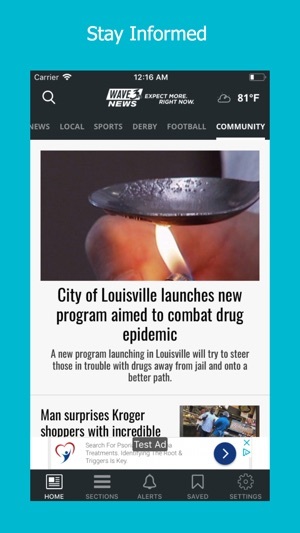 Just copy how WDRB and other local channels do. 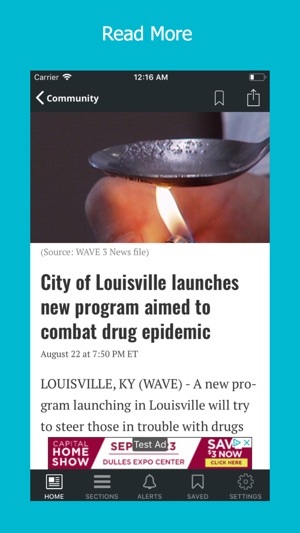 This is absolutely the worst local news app. © 2018 WAVE 3 News. All rights reserved.